Racheal became a member of Chambers in March 2018, following the successful completion of her pupillage. She is developing a strong practice across Chambers’ main areas of expertise, in addition to building her Art Law practice. Racheal is building a strong practice in the interrelated fields of financial crime and regulation. Racheal is currently seconded to the Financial Conduct Authority (FCA) where she is an Associate within the Criminal Prosecution Team headed up by Vincent Coughlin QC, focussing predominately on POCA investigations. Alongside this role, Racheal is also assisting the FCA as a Project Manager handling her own portfolio of regulatory investigations. Throughout 2018, Racheal assisted the Serious Fraud Office (SFO) in her capacity as a disclosure counsel with ongoing high profile SFO investigations. Independently of her secondments, Racheal prosecutes and defends fraud and POCA matters (e.g. see R v SB ; and R v EW ) instructed by the CPS, Local Authorities and defence solicitors. Racheal appears for both the Prosecution and Defence in the Magistrates’, Youth and Crown Courts. She has acted for defendants charged with a range of offences involving: violence, dishonesty, drugs, public disorder, trade mark infringement, trading standards and motoring offences. 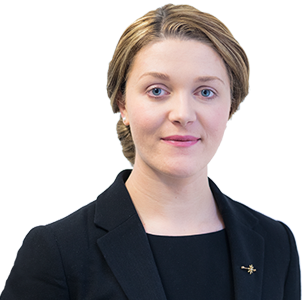 She is regularly instructed to defend cases of serious violence, having most recently secured the acquittal of a client charged with s.20 GBH and affray at the OId Bailey – see article: Racheal Muldoon secures acquittal at the Old Bailey for GBH and Affray. Racheal is regularly instructed by Local Authorities to prosecute selective and HMO licence holders for an array of criminal offences such as breach of licence conditions. Further, she is often privately instructed to defend licence holders against these prosecutions. Racheal is a specialist Youth Court advocate. In 2018, Racheal secured the acquittal of several youths charged with s.18 GBH, s.20 GBH and Robbery (e.g. R v P ; and R v J  – see below). Racheal has received extensive training delivered by the Bar Council and The Honourable Society of the Middle Temple in vulnerable witness handling and youth court procedures. See article: Successful appeal of truly shocking GBH conviction. Racheal’s practice also encompasses regulatory work. In addition to her regulatory work in the financial sector, Racheal has appeared as a Case Presenter for the Nursing and Midwifery Council and in licencing appeals on behalf of Transport for London. Racheal has previously been instructed as a junior in the Grenfell inquiry. R v SB : prosecuted on behalf of the CPS a Defendant found guilty after trial of three charges of Fraud by False Representation relating to repeated attempts to obtain mobile phones from high street providers, passing herself off as a company director using forged material and genuine documentation obtained from Companies House. R v EW : secured the acquittal of a client charged with Possession of Criminal Property, after the Magistrates’ accepted the overarching submission that the Crown had failed to prove that the £3,500 cash seized from his bedroom amounted to the proceeds of crime. R v R and Others : Racheal represented defendant three who was charged with GBH and Affray. All defendants were alleged to have carried out an unprovoked and sustained attack on two members of the public outside a London nightclub, knocking one to the floor unconscious in front of his family and friends. The Crown put the case as a Category 1 GBH (s.20). Having been persuaded that the case against Racheal’s client was weak, the Prosecutor offered no evidence on both counts. Not guilty verdicts were subsequently returned by the jury – see article: Racheal Muldoon secures acquittal at the Old Bailey for GBH and Affray. R v M : successfully raised self-defence at the trial of an 18-year-old client prosecuted by a Senior Crown Prosecutor for a hate crime against a complainant with severe learning difficulties. R v J : successfully appealed the conviction of a 14-year-old convicted of s.18 GBH, Possession of an Offensive Weapon and a firearms offence in the Youth Court – see article: Successful appeal of truly shocking GBH Conviction. R v P : secured the acquittal of a 16-year-old in the Youth Court for s.18 GBH, Attempted Robbery, Possession of a Bladed Article and Breach of a Criminal Behaviour Order, requiring a detailed analysis of cell site data and the cross-examination of a 10-year-old Complainant.